Though it risks being overshadowed quite spectacularly by The Meg and its own ginormous fish, Deep Blue Sea 2 is now on the verge of hitting Blu-ray and DVD, and the folks over at Bloody Disgusting has uncovered a brand new clip to prove it. 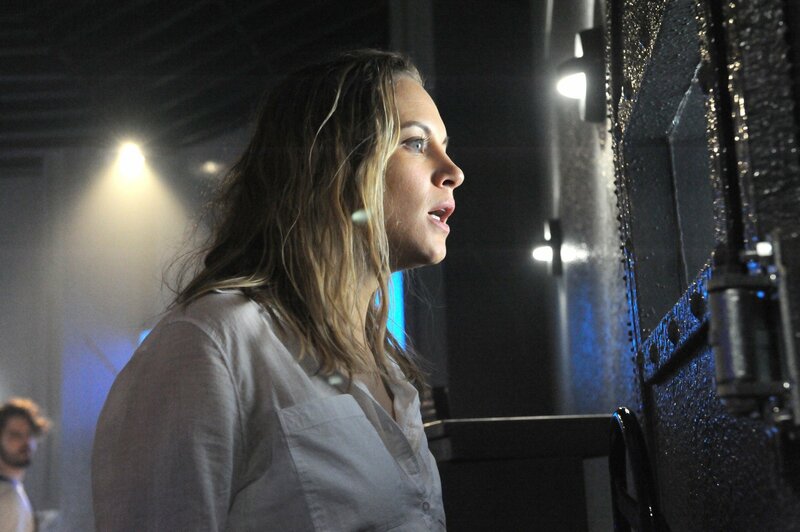 Placing a particular focus on the new characters headlining Darin Scott’s long-in-development horror sequel, up above you’ll see the moment when tensions rise between Dr. Misty Calhoun (Danielle Savre) and pharmaceutical billionaire Carl Durant (Michael Beach), who evidently has more money than sense – much to the horror of Savre’s protagonist. Helmed by Darin Scott, and arriving almost two decades after the original, Deep Blue Sea 2 is expected to chomp its way onto Blu-ray Combo Pack, DVD and Digital HD tomorrow, April 17th (pre-order here).